The coolest stuff comes from Asia; Fact. From action figures to cell phones that where you're getting it from and just when you thought you had seen it all they go and make this. A iPhone case that is a perfect replica of the Tim Burton Batmobile. I'm not an iPhone guy, but if there ever was a time when I wanted to be it's now. Check out the video below to see the case in action. 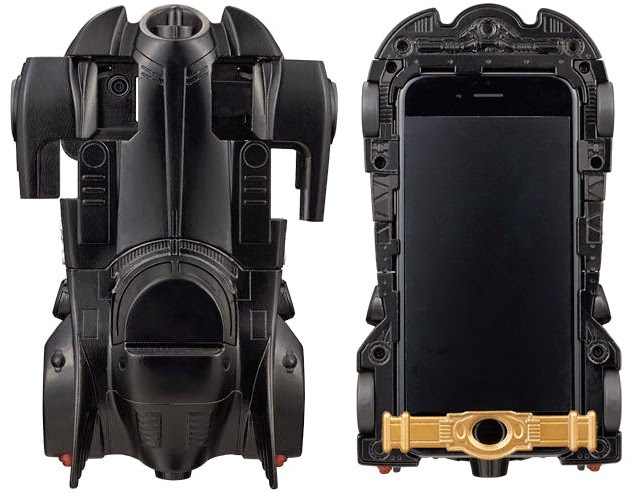 The case/detailed replica comes with build-in LED lighting, a projector on the back that shines the Batman logo on a wall, a faux utility belt covering the iPhone 6's home button, and pop-out front wheels that give access to the phone's camera lens. It's ludicrously over-the-top, bulky and impractical, yet I want one in the worst way. 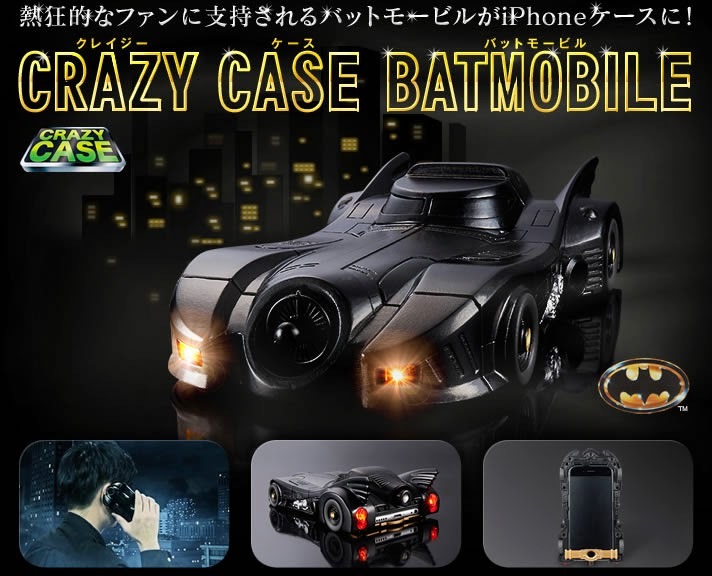 The Premium Bandai online store has now started accepting pre-orders of this Batmobile iPhone 6 cover named “Crazy Case Batmobile”. The pre-order period will last until 23:00 of March 31 and will be sold for 5,940 Yen ($50.77 USD).